Because motherhood is a 24/7 job. With a teacher workforce that’s overwhelmingly female, it’s no surprise that many of them are working moms. 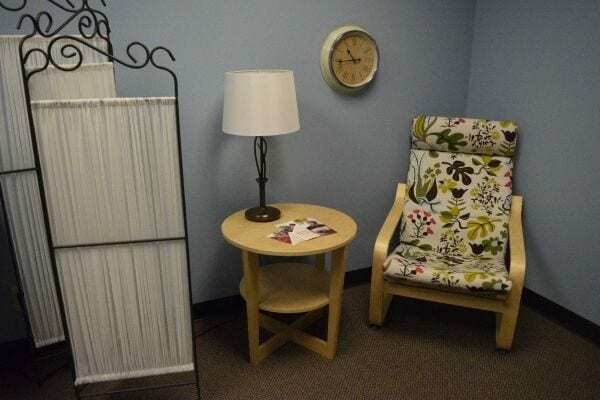 New moms face special challenges when they return to work, especially if they’re breastfeeding. Most experts agree that breastfeeding is good for babies and moms, and more than 82% of new moms at least give it a try. By six months, over half of moms are still breast-feeding, and more than a third at one year. 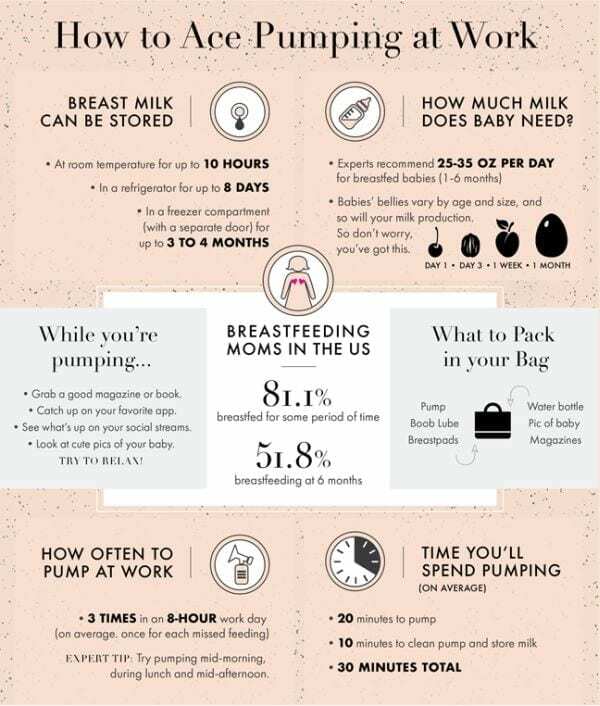 Most women feed their babies or express milk every 2-3 hours. All of this can be challenging enough at home, but what about for working moms? 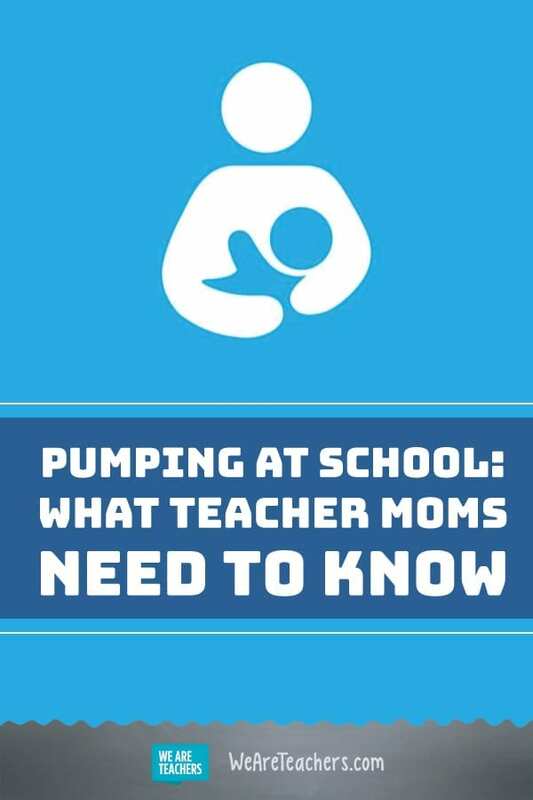 Here’s what teacher moms need to know about pumping at school. 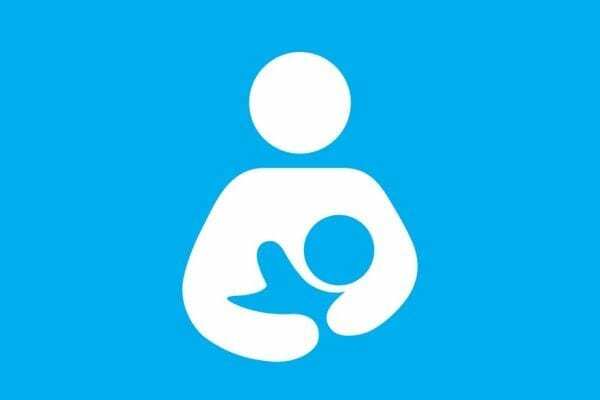 The international symbol for breastfeeding, often displayed on signs outside lactation rooms. First find out what your school is legally obligated to do for you. 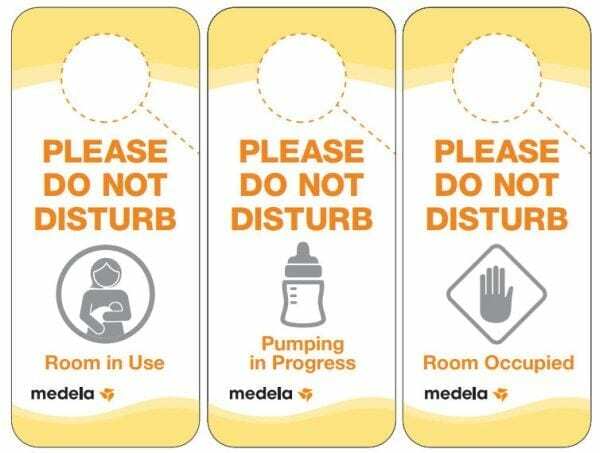 The United States has made a concerted effort in recent years to make it easier for working moms to pump. The 2010 Patient Protection and Affordable Care Act amended the Fair Labor Standards Act (FLSA) to ensure protections for most non-exempt employees. Unfortunately, for teachers these protections often don’t apply. Most teachers are considered exempt, since they are salaried and ineligible for overtime. This means schools aren’t required by federal law to provide pumping breaks or a lactation space for teachers. However, many states have enacted their own laws to help out working mothers, and most of them cover all employees, regardless of FLSA status. To find out what protections your own state provides, visit the United States Breastfeeding Committee’s website here. If your state doesn’t have laws about pumping at work, consult your school district’s handbook or your teacher union. Some unions have negotiated contracts that include provisions for moms who need to pump at school. If you’re not sure about your rights, then ask. “My coworker who gave birth a year before me pumped all school year in the woman’s staff bathroom because she did not know her rights to be supplied with a room that is not a bathroom,” says Gina F. Employers are unlikely to make accommodations unless you ask, so do some research and know what you’re entitled to. Though your school may not legally be obligated to comply, these requests are a logical and reasonable place to begin. Giving administration options and showing you’ve given it some thought will help make it harder to refuse your requests. Think about how often you’ll need to pump, and how those times might fit into your daily schedule. It will likely involve taking advantage of planning periods and lunch breaks. Consider how your classroom obligations might be covered by others, and how you can make it easier for them. Staff and admin cooperation is key. “I teach middle school,” Stephanie G. shares, “so I was able to pump during my first planning, lunch, and during our last 30 minute study time. The only time I had to get coverage was during the last session and my administration was great about setting up a schedule of teachers that were willing to cover for me.” Not every teacher will have such good support, but Stephanie’s experience shows it is possible. Try to imagine where you’ll do your pumping at school. 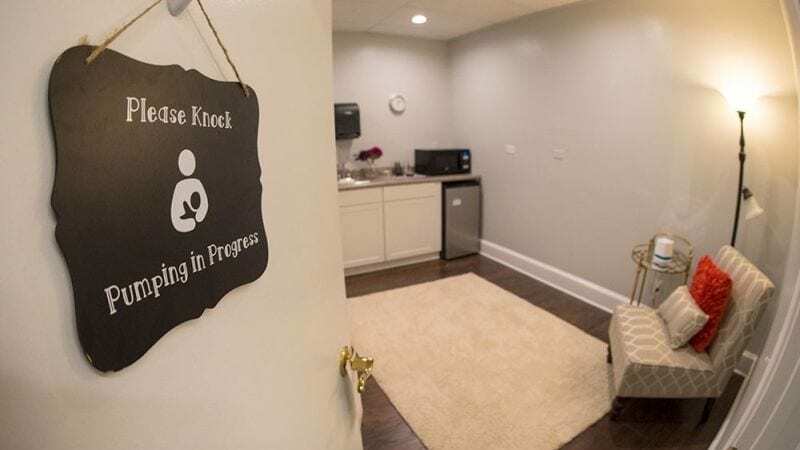 An acceptable lactation space is private and free from intrusions, and cannot legally be a bathroom. Ideal spaces would also have electrical outlets, a locking door, and a nearby sink for prep and cleanup. For some teachers, finding space is as simple as closing and locking a classroom door and putting up a “Do Not Disturb” sign, which is what Stephanie did when her classroom was free. Other options might be closets, offices, or even a partitioned space in a staff room. 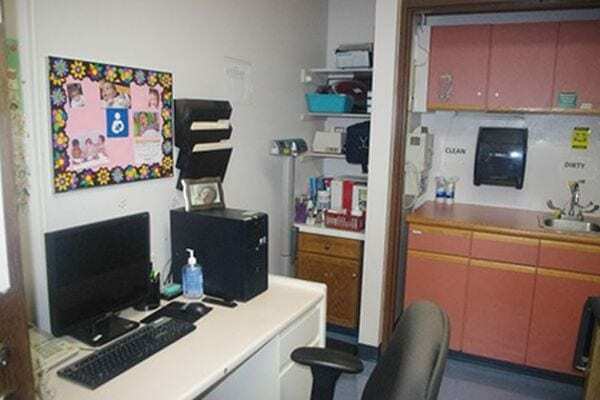 “Students were in my room during my third [pumping] session, so I used a large storage room connected to our library,” notes Stephanie. Ensure your lactation space is available to you every time you need to express milk, even if it’s used for other activities throughout the day. Also think about where you’ll store your milk; consider putting a small refrigerator in your classroom or lactation space. It’s important that you don’t hesitate to address this issue. Some women worry that expressing milk is too private or embarrassing to talk about with others, especially men. Bear in mind that what you’re doing is natural and healthy, and don’t be afraid to talk about it openly. In fact, the more we talk about, the more comfortable people will become with the topic. What better place than a school to help educate others? It’s possible that your school won’t be willing (or able) to accommodate your requests. Unfortunately, many women are still forced to choose between breastfeeding and working full time. This is why it’s important to know your legal rights up front. Prepare and present a reasonable plan, and hope for the cooperation of your fellow teachers and administration. Pumping at school can be a challenge, but for many moms, it’s one worth fighting for. Do you have experience with pumping at school? Share your tips and stories in our WeAreTeachers Chat group on Facebook. Plus, check out 6 ways teachers can make returning from maternity leave easier.